The piece below (by BEH co-editor Chris MacDonald) highlights the role that first (or early-career) jobs play in shaping young people’s ethical habits and attitudes. Students — and their professors — should reflect on what can be done to prepare for the pressure some (?) young people face, in the workplace, to act unethically. But the big issue here isn’t only about banking or about telecom, as important as those two industries are. A major issue here also has to do with youth — in particular, the young Canadians who are so often the ones being pressured to engage in unethical, and sometimes illegal, sales practices. Chris MacDonald writes, “Finally, business schools need to do better at equipping their students to face these challenges. We spend too much time, in our business ethics classrooms, talking about Volkswagen and Enron and other famous scandals involving senior managers. We need to educate students about the challenges faced specifically by young people early in their careers, and better prepare them to face those challenges.” Amen. The business ethics profession’s obsession with big-corporate, firm-level decision making isn’t an innocent case of professors focusing their classes on what interests them most. 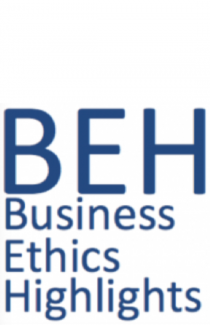 It lends the mistaken impression that business ethics is only for the C suite and will confront students, if at all, only late in a highly successful career. The business world the bulk of our students will experience upon graduating also has moral contours, but bears little resemblance to one their professors present in the classroom. Good on MacDonald for calling them out for it.